Your first phone call to a business professional you don’t know can either initiate a productive relationship or become the only contact you have with that person. In this brief video, I tell you how to make your first phone conversations impressive, memorable, and potentially profitable. Bring your sales team together, watch this video with these sales professionals, and after discussing my suggestions ask for their tips on making those first phone contacts accomplish plenty. 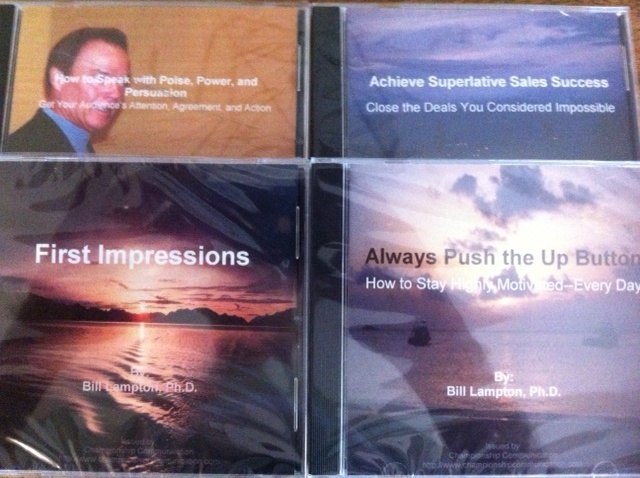 AUDIO CDs PRODUCED BY BILL LAMPTON, Ph.D.